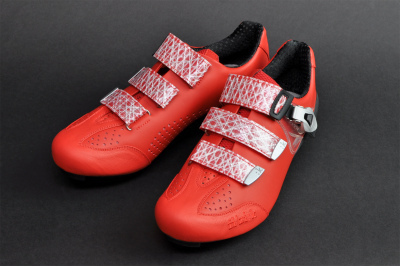 Planet-X have got a nutty reduction on the very euro-styled Fizik R3 shoe model in the red colourway. At a ridiculous £59.99 these shoes are a steal! scoop over at the planet-x webstore. 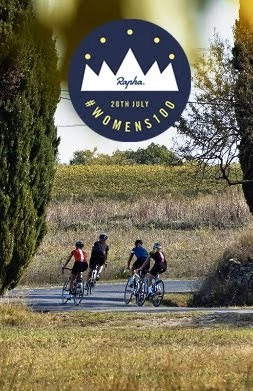 Whilst visiting the stunning region of Dordogne in France this past June for the wedding of my best pal, in an amazing stroke of luck a split day criterium race passed right through the tiny village we were staying in. With a time trial in the morning and a road race in the afternoon, I snapped a few pics of the French teams competing. I haven't been able to find any info online about the race, which is a pity as im curious! 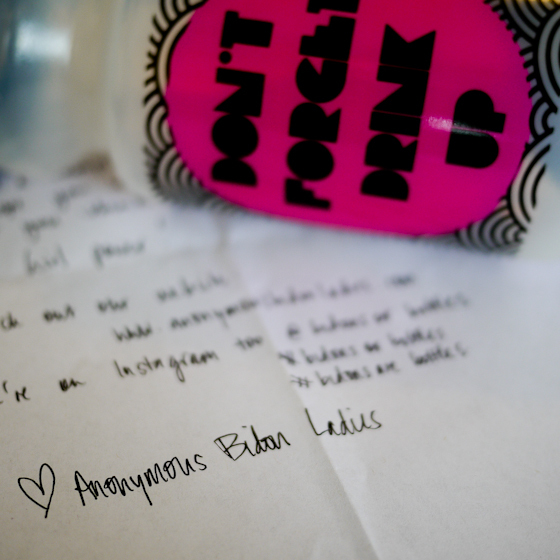 This week I received a mystery package containing two fine looking sparkly bidons from the very secretive sounding "Anonymous Bidon Ladies". Their identities hidden, my only clue as to the origin of these pretty vessels was a handwritten note, simply stating the bottles were designed and had journeyed all the way from Melbourne, Australia. 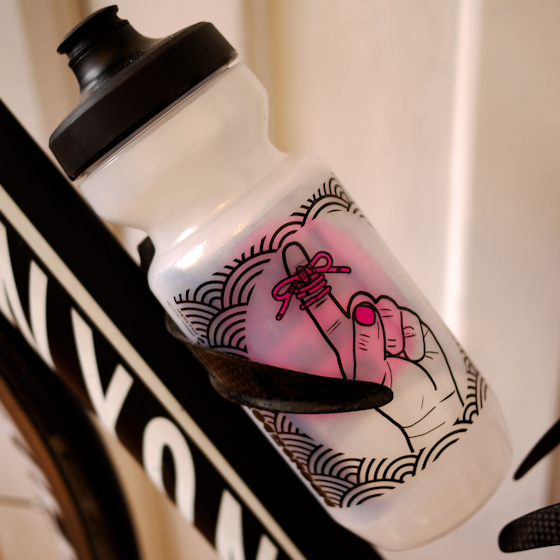 The bottles are 'Purist' bottles, meaning the usual grim-taste that penetrates a plastic bottle interior after a couple of months is avoided by the clever implementation of a silicon dioxide inner coating to the bidon. The result is a fresh taste and bacterial barrier, avoiding those fusty gulps of bottles old. 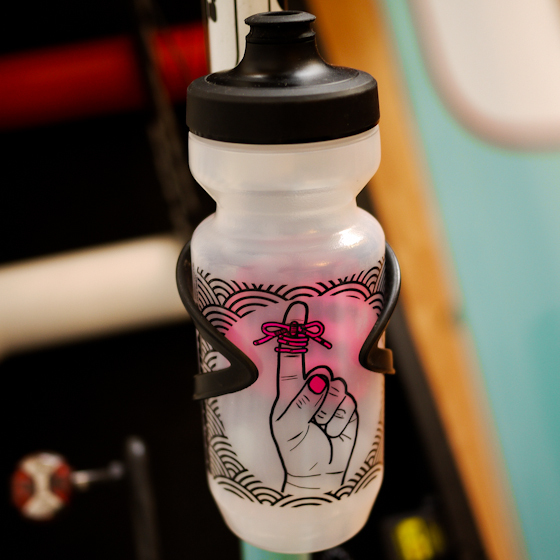 The design is pretty neat, il no idea what the index finger lace signifies, but hey, its a splash of pink and it looks cool. 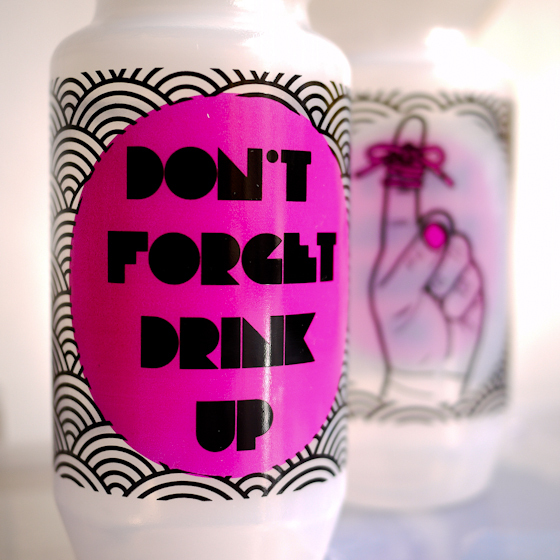 "Dont forget, drink up" serves as a reminder when face down to keep hydrated. You can find the ladies webstore over at anonymousbidonladies.com and im assured more bottles and products are in the pipeline for the very near future. Be sure to check out the instagram account (bidonsorbottles) also, and share your own weird and whacky bottles with a #bidonsarebottles hastag. 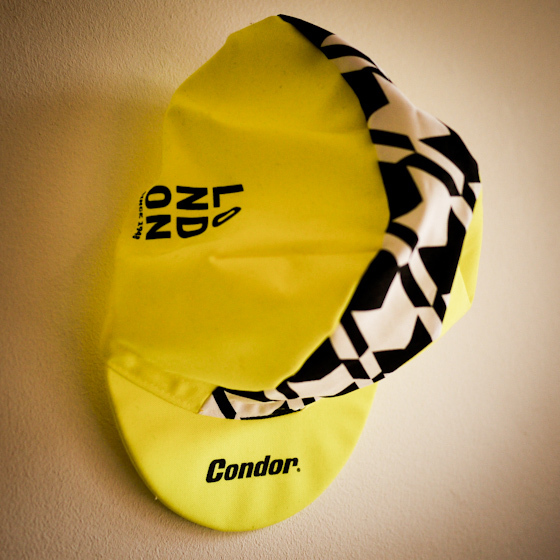 Those dudes & dudettes down at Condor Cycles have released some natty new cap designs ready for an autumn of riding. The LDN and Houndstooth hi-vis models shown below are two of their line up. The caps are handmade in Italy, and I can vouch that the cotton is nice and stiff, ensuring maximum euro cap-luft for those seeking to adhere to the rules. 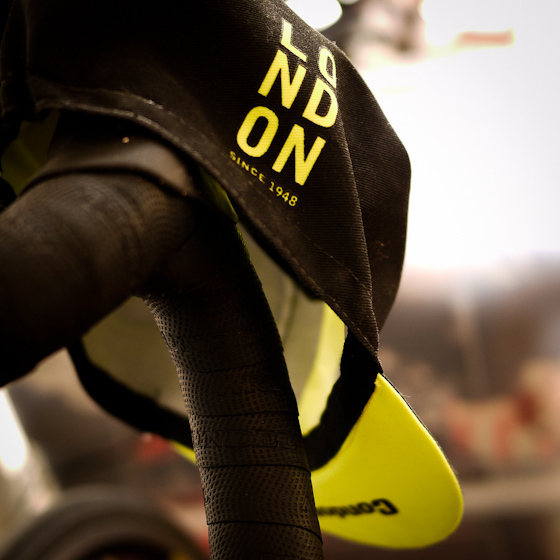 Head on over to the Condor Cycles website to check out their range, all very reasonably priced as usual. 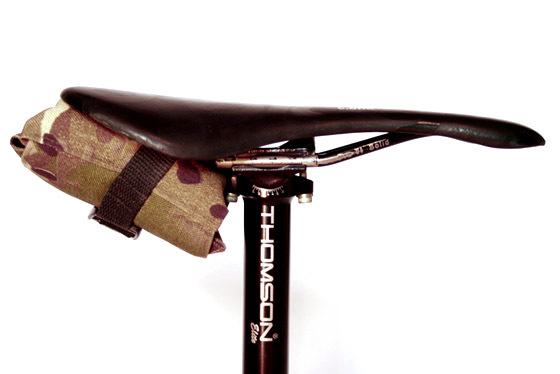 Kaptajn are turning out a natty little seatpack for €20, available in camo or classic black. Produced in robust Cordurra1000 fabric, the packs are both water and dirt repellent and offer a nifty neat way to schlep around those essentials such as tubes, tools and levers. 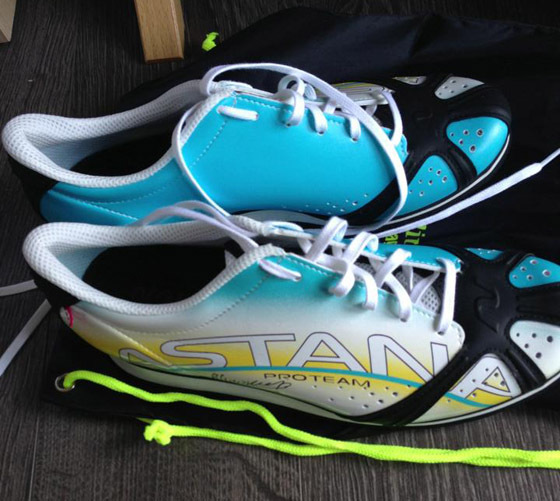 Head on over to the Kaptajn webstore to check them out.